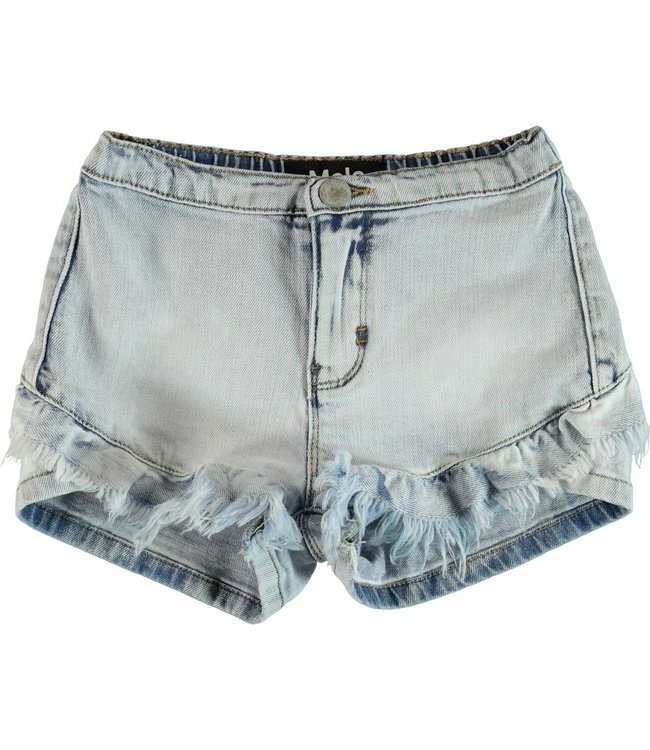 Molo Agnetha Short- Heavy Blast - Refinery Clothing Co.
Agnetha is a pair of light coloured denim shorts that are shorter at the sides and have fringe on the front. 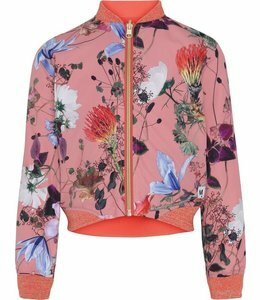 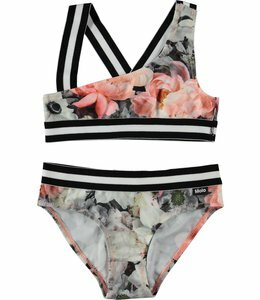 They have a button closure and elastic at the back of the waist for a comfortable fit. 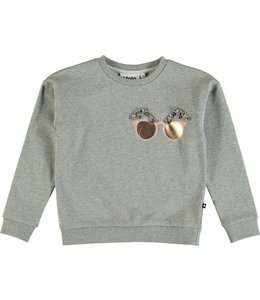 Maila is a grey sweatshirt with a sunglass print decorated with faux gemstones and pearls. 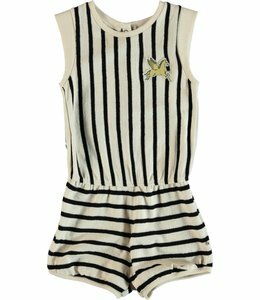 Striped playsuit in cotton with a Pegasus motif on the left chest.